Born on June 27, 1760, Prince Johann (I) Baptist Joseph Adam Johannes Nepomuk Alois Franz de Paula of Liechtenstein is the most common ancestor of all the dozens and dozens of Liechtenstein princes and princesses of today. He was born as the sixth child of Prince Franz Josef I and his wife, née Countess Leopoldine of Sternberg, in Vienna. He succeeded his older brother, Prince Alois I, as sovereign prince in 1805. At the age of 22, Prince Johann entered the Austrian army as a lieutenant in a cuirassier regiment. Described as a keen soldier, he quickly rose through the ranks during the Austro-Turkish War of 1787-1791. In 1790, he became the colonel of the dragoon regiment No. 12 (later also known as the Kinsky regiment). The same year, he was awarded the knight's cross of the Military Order of Maria-Theresia. Participating in many different battles during the French Revolutionary Wars, Prince Johann, together with Count Heinrich of Bellegarde, led a cavalry of 2,000 men in the Battle of Avesnes-le-Sec during which the Austrians defeated 7,000 French troops. While the Austrian troops only lost 69 men, 2,000 Frenchmen were either killed or wounded with another 2,000 being captured by the Austrian army. Prince Johann was subsequently promoted to the rank of a general-major and also participated in the Battle of Fleurus in 1794 as well as the Battle of Würzburg in 1796. After the latter battle, he was awarded the commander's cross of the Military Order of Maria-Theresia. After fighting in the Battle of Trebbia in 1799, he was promoted to the rank of lieutenant-general. During his time in the military, Prince Johann became famous for not simply commanding his troops from save grounds but by actually leading them into the battle. 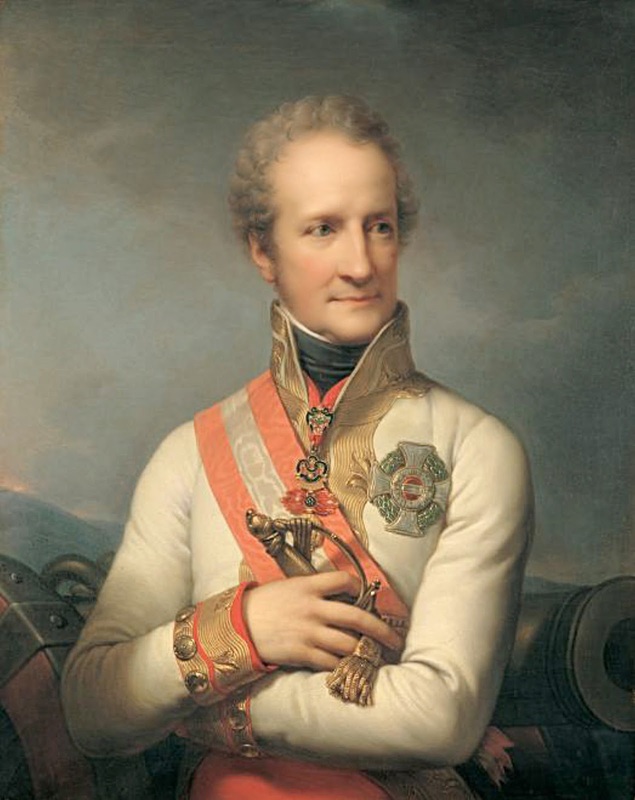 Prince Johann also fought in the Napoleonic Wars (1803–1815). During the Battle of Austerlitz in 1805, he led the 4,600 cavalry of the 5th Column. The battle, also known as the Battle of the Three Emperors, ended with a defeat for the Austro-Russian troops and the Peace of Pressburg. Prince Johann was directly involved in the conclusion of the armistice as well as the negotiation of the Pressburg peace treaty. 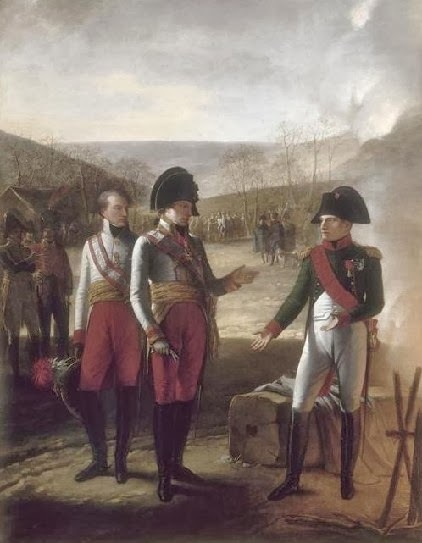 Emperor Napoleon I even wished that he would become the new ambassador to France but Emperor Franz I, who saw the admiration of Napoleon for the Prince of Liechtenstein with distrust, preferred Prince Metternich for the job. In 1806, Emperor Franz I of Austria, however, entrusted Johann with the command of the city and fortress of Vienna and the very same year, Prince Johann became the 869th Knight of the Order of the Golden Fleece. In 1808, he was made general of the cavalry and another year later, he was promoted to the rank of a field marshal after he had commanded the first reserve corps in and later the whole army of Archduke Karl. Prince Johann and his troops won the Battle of Aspern-Essling in May 1809 but lost the Battle of Wagram two months later. The defeat entailed the Treaty of Schönbrunn which was negotiated and signed by the Liechtenstein prince and seen by many Austrians as favourable to Napoleon. When the Austrian state could not pay the ten million guilder for the vacation of Vienna from the French troops, Prince Johann stood surety. The accusation to have little diplomatic skill, cooling of the relationship with the Austrian emperor as well as declining health all contributed to the Prince's resignation from the army in 1810. Being reichsunmittelbar became null and void a year later in 1806 when the Holy Roman Empire was dissolved and Napoleon incorporated Liechtenstein in the Confederation of the Rhine and made it a sovereign state without, however, asking the country's ruler. While many other small states were forever scratched from the maps, Napoleon hoped to find a Vienna-based ally in Prince Johann I through his move to make the tiny alpine Principality a sovereign state. Even though Liechtenstein's prince did not oppose Napoleon's action, he never signed the Act of Confederation and also did not formally quit the Holy Roman Empire. According to the Act of Confederation, sovereign rulers of the Confederation of the Rhine were not allowed to serve a foreign power. To still make it possible for Prince Johann I of Liechtenstein to be in the service of the Austrian emperor, Napoleon added a paragraph that made it possible for the sovereigns to appoint their children as regent. Already on April 12, 1792, Prince Johann had married Landgravine Josefa Sophie of Fürstenberg-Weitra (1776-1848) with whom he had 13 children. In 1806, he formally made his third son Karl Johann, who was three years old at the time, his regent but as legal guardian of his own minor son, the powers effectively remained in Prince Johann's hands. Prince Johann I was the first Fürst of Liechtenstein, which got its name from the family and not the other way around, who was actively involved in the politics of the day. Despite being a profoundly absolutistic ruler, he did make some forward-thinking reforms though all powers remained in his hands at all times. Already in 1805, he mandated a legislated compulsory education. He also introduced the land register as well as the freedom of establishment, abolished the serfdom, organised the medical corps and created Liechtenstein's parliament, the Landtag, by absolutist constitution in 1818. However, the parliament was only convened to a meeting once a year by the sovereign prince and it did not possess any real rights as its sole function was to assent “with gratitude” to the annual demand for taxes. In order to carry through his ideas, Prince Johann I employed a landvogt who was apparently largely detested by the population. The Congress of Vienna confirmed Liechtenstein's sovereignty and so, in 1815, the Principality became a member of the German Confederation. Subsequently, Prince Johann reversed his third son's appointment as regent and started to rule in his own name again. 1818, the year of the introduction of the limited constitution and the parliament, also saw the first visit of a member of the House of Liechtenstein to the Principality by Prince Alois, Johann I's oldest son. The first visit by a sovereign prince, however, did not occur until 1842. Away from military and politics, Prince Johann I was interested in architecture mostly for the love of building something. During his time as head of the House of Liechtenstein, a model plant was built in Loosdorf. He also did not fail to expand existing estates by adding agricultural buildings in order to stabilise and improve crop yields. Prince Johann I cherished a special interest in landscape architecture which can be seen in the area surrounding the Burg Liechenstein near Vienna, which he bought back in 1808. Starting in 1820, the Prince had Schloss Liechtenstein built as a summer residence near to the old Burg. Like so many other Liechtenstein princes, Prince Johann I had a special penchant for art and increased the number of paintings in the family's collection from 840 to 1613. It was also him who moved the art collection to the Gartenpalais where he exhibited it to the general public. The exhibition was closed more than 200 years later in 1940 after the Anschluss of Austria into Nazi-Germany. Prince Johann I died on April 20, 1836 in Vienna. With military honour, his body was brought to the St. Michael's Church in Vienna three days later. 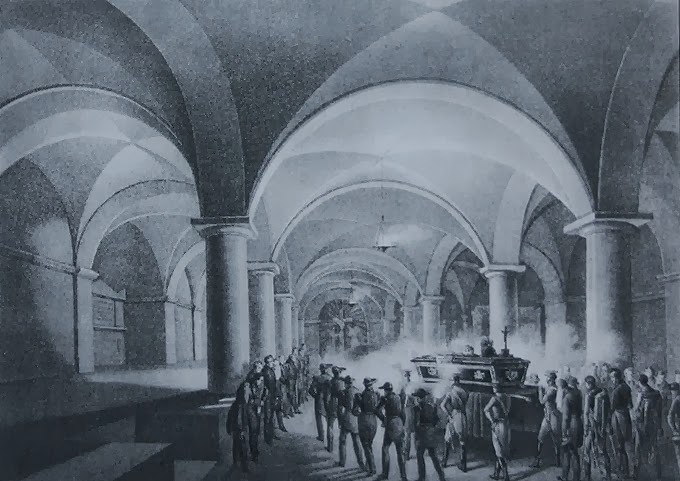 Afterwards the Prince's mortal remains were brought to Vranov nearby Brno, which today lies in the Czech Republic, to be buried in the recently expanded Liechtenstein Crypt there. He was succeeded by his oldest son, Prince Alois II. Prince Johann I's second son, Prince Franz de Paula, is the great-great-grandfather of Prince Hans-Adam II. The Princely Family of today consists entirely of descendants of said Prince Franz de Paula and his younger brother Prince Eduard Franz. Thank you for this most interesting and informative article. Prince Johann I was a man of many accomplishments. Happy Birthday Grand Duchess Maria Teresa. May your birthday and everyday be filled with love.